An amazing opportunity to own a custom-built home designed by award-winning architectural studio Carl Turner Architects. 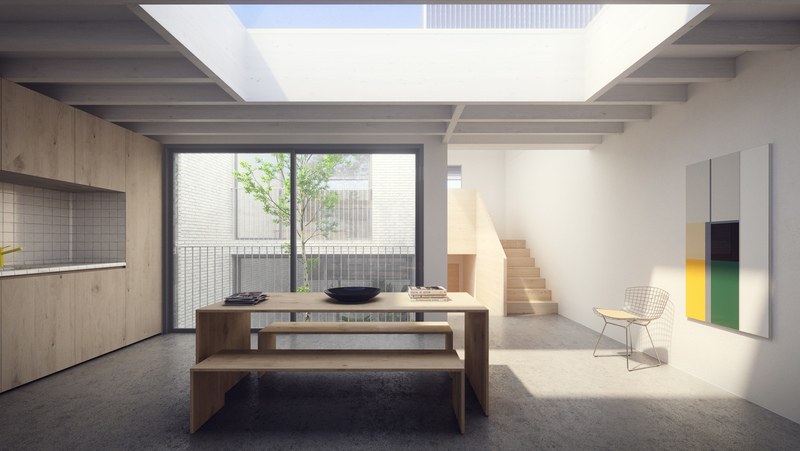 Situated on the site of a previous shoe factory in Forest Gate, just down from Wanstead Flats, the designs feature a carefully laid out three-bedroom contemporary home with two internal courtyards that will incorporate Carl Turner’s renowned craftsman's approach and attention to detail. The first of an innovative collaboration between top architects and Cube Haus, this plot of land is being sold with designs to build a timber frame house using offsite production methods specially configured to suit the site. 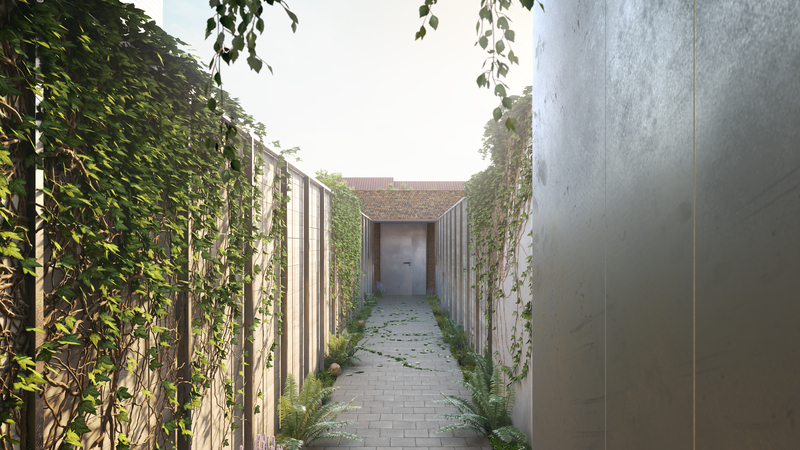 Accessed through an archway gate between two properties on the east side of Field Road, the house will have a private entrance leading down a green walkway to the front door. 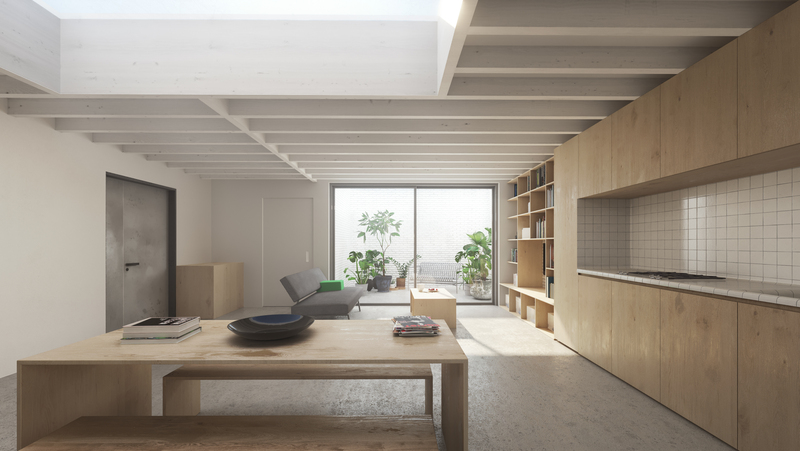 Inside, the open living space will feel light and airy thanks to a large skylight and dual aspect windows into the internal courtyards on each side, designed to make everything feel as spacious as possible. Maximum use of light has been used throughout, with bedrooms and living space benefitting from floor to ceiling glazing. 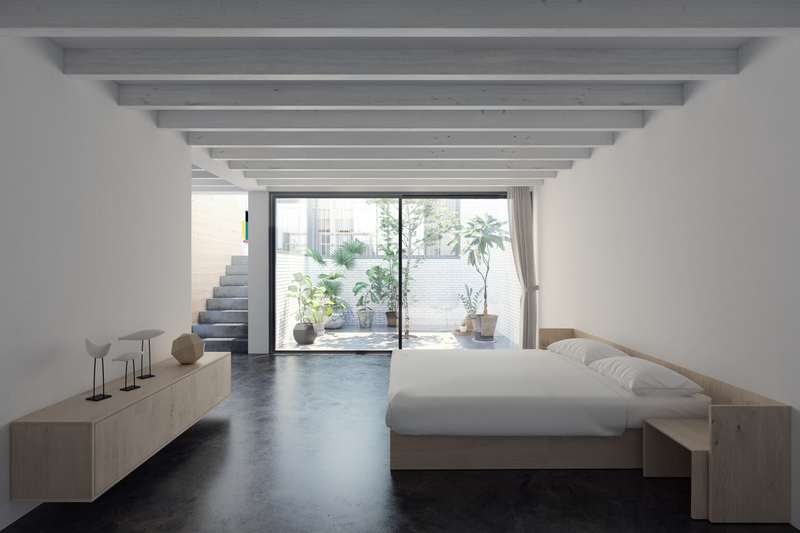 The interiors will have a neutral, paired back feel with a focus on the crisp, clean lines that Carl Turner’s practice includes so skillfully in their designs. Turner is also well known for his furniture solutions which would, of course, fit easily into these interiors. His systemised approach could be adapted to suit any space, providing kitchen unit, shelving, seating and even bedroom solutions. 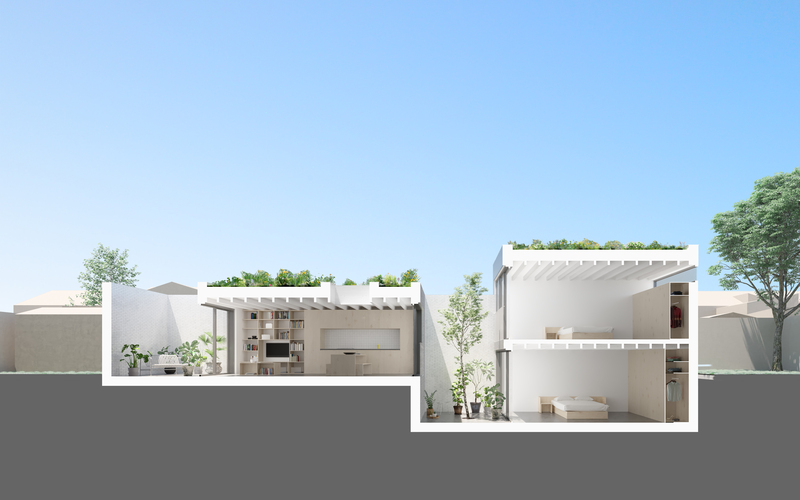 The house will have a very private feel, with designs carefully considering how the surrounding properties look into the site. Wildflower green roofs cover most of the property, disguising it amongst the trees and gardens of the surrounding houses. Field Road is a popular road in this part of East London, equidistant from Forest Gate station and high street and the green space of Wanstead Flats, the southernmost part of Epping Forest. The imminent arrival of Crossrail will mean journey times of 12 minutes to Canary Wharf and 19 minutes to Bond Street and the West End. Just around the corner from Field Road, the railway arches of Winchelsea Road offer a range of thriving independent business, including the wine bar, Burgess & Wall, craft beer and arts venue The Wanstead Tap, as well as a Scandinavian café, yoga and pilates space, local bakery and a restaurant. There are also several “good” and “outstanding” primary and secondary schools in the area. 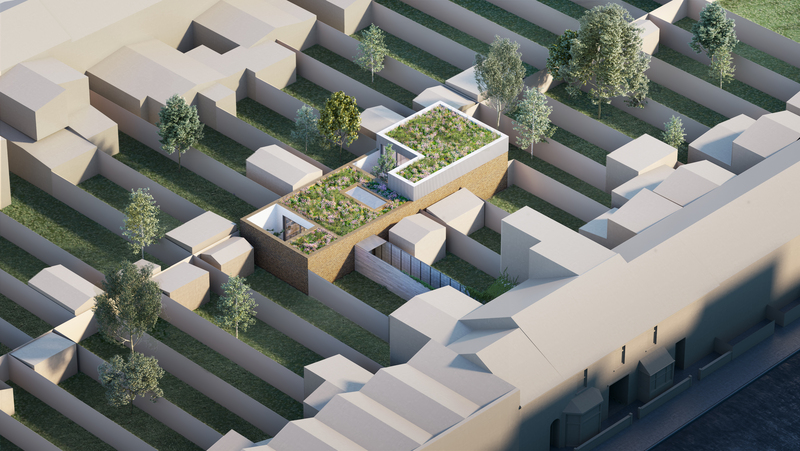 The plot is being sold with planning and designs for the three bedroom Cube Haus X Carl Turner Architects Void House. The listing price is for the land, planning and designs only. 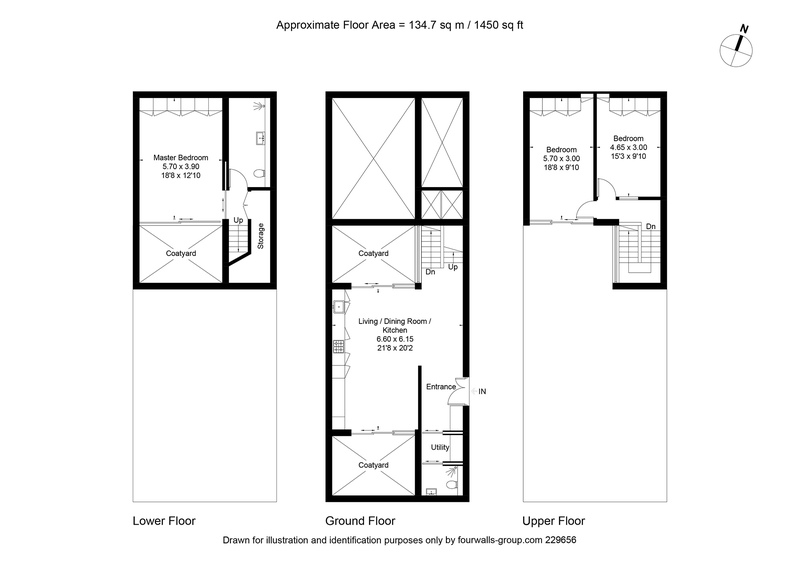 Cube Haus can offer a service to fully manage the development build if required.